...but enough about me, because it's all happening! And so how did you feel last Monday? Blue? 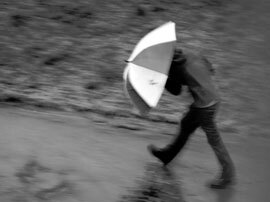 "Today is officially Blue Monday - the most miserable day of the year. A combination of Arctic temperatures, Christmas debt and the next pay day feeling like it's months away leaves many of us depressed and unable to face work." Huh, who knew? News of the week was of course Scott Brown's incredible victory in Massachusetts, a Republican elected to fill "the Kennedy seat"! I guess it really was the people's seat after all, and they proved it. John Hawkins reviews five memes which were destroyed. Ann Althouse had a great suggestion for what Obama should have said about the election. "We won't agree on every issue... But we do agree that we love America equally, that we're concerned about the future of this country, and that we will do our very best to address big problems... 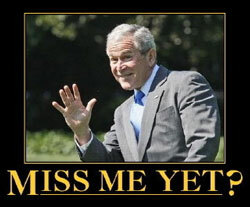 The American people expect us to rise above partisan differences, and my administration will do its part...." Those were of course the immortal words of George W. Bush, after the 2006 elections gave the Democrats a majority in the Senate. Gerard Vanderleun asks the question: Are we better off now than we where a year ago? The always-interesting Dave Winer has A breakthrough for the NYTimes. "I’m not paying to read the Times. I used to, but I don’t anymore. It’s not like buying the latest gadget from Steve Jobs. Paying the Times to read their stuff doesn’t give me sweaty palms. But blowing a few bucks to get my thoughts into the flow alongside theirs, now that’s something I’d pay for." Interesting: Humans were once an endangered species. "Scientists from the University of Utah in Salt Lake City in the U.S. have calculated that 1.2 million years ago, at a time when our ancestors were spreading through Africa, Europe and Asia, there were probably only around 18,500 individuals capable of breeding (and no more than 26,000). This made them an endangered species with a smaller population than today’s species such as gorillas (approximately 25,000 breeding individuals) and chimpanzees (an estimated 21,000). They remained an endangered species for around one million years." Here we have Ten celebs who give PETA the middle finger. Don't get me wrong I love animals - medium rare, with a wine reduction sauce :) seriously I do love animals and I think animal cruelty must be avoided, but raising animals for fur and food doesn't raise my ire, somehow... it is what it is. PETA seems to have moved beyond reasonableness. 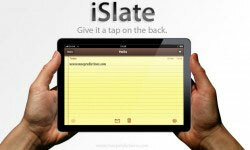 In the run-up to Apple's iTablet announcement next Tuesday (! ), one recurring theme is the likely impact on Amazon's Kindle. As a preemptive strike Amazon have opened up their platform somewhat, and ZDNet wonders Can the Kindle work as an App platform? The move makes sense, but I wonder how successful this will be - seems like a virtue of the Kindle is its simple focus on being an electronic book, period. BTW I have the same reaction to iPods; I do have an iPod Touch and I like playing with it, but for actual listening to music I much prefer my four-year old iPod nano, with its simple focus on being a music player, period. Joel Johnson: Show and Sell: The Secret to Apple's Magic. "When Jobs reveals the company's next product, there's a critical difference: It exists." I think there a little more to this - it's cool, and it exists - but the point is well taken. The Palm Pre Plus reviewed. "So why choose the Pre Plus on Verizon? 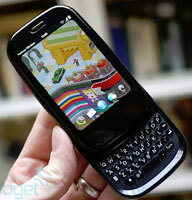 To answer that question, you have to figure out if you believe in the potential of webOS devices; Palm doesn't have the fastest phone, or the phone with the highest resolution, certainly not the biggest app selection, and it doesn't have a massive community behind it. What it does have, however, is a brilliant platform with huge potential to change the way you work and live with your phone." Isn't is amazing how Bittorrent just works? You try all this stuff for downloading large files, and it all doesn't really work, ever. And then you try Bittorrent and BAM you are downloading 5GB datasets at 300K for hours on end. My hat is fully off to Bram Cohen. Will this be important? 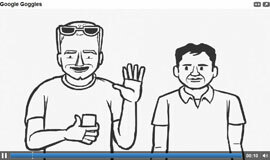 YouTube launches HTML5 support. Seems to work just fine in Chrome. I sure won't miss the shenanigans required to get Flash to run, the <embed> inside an <object> and all the rest... stay tuned! A sad note: Popeye admits to spinach use. "Popeye finally came clean Monday, admitting he used spinach when he delivered a savage and unlikely beating to romantic rival Bluto in 1998. Popeye said in a statement sent to The Associated Press on Monday that he used spinach on and off for nearly a decade." Sad, really. 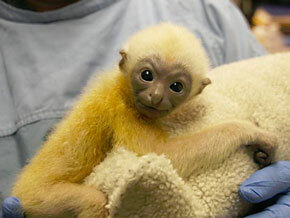 ZooBorn of the week: a baby Gibbon.